Lyle Eugene Clausen (75) died of natural causes at St Alphonsus Hospital, in Nampa, Idaho on January 13th, 2019. Lyle is survived by the love of his life and best friend, Carol Carroll, his siblings; Anna Crawford of Middleton, Allen Ray of Nampa, Gletha Forester of Nampa, Louis Clausen of Marsing, Audrey McDaniel of Caldwell, Sharon (Bob)Henley of New Plymouth, Raedean Ames of Nampa, sister-in-laws Sandra Clausen of Caldwell and Janice Clausen of Oakdale Nebraska. Lyle is also survived by his son David Clausen of Boise, daughter Lyla (Rob) Workman of Boise, and five beautiful grandchildren and one great grandson. He is preceded in death by his brothers James, Vern, Alvin and Francis. Lyle was born on October 22nd, 1943 in Atkinson, Nebraska to Henry and Rose Clausen. Lyle graduated from Caldwell High in 1961. He was a skilled HVAC tech, electrician, and general mechanical magician along with being a jack of all trades. He was a friend and father to many. Lyle was a master negotiator and loved making a good deal. He had a genuine and beautiful laugh. He was a generous, witty and loving individual who facilitated a good time for everyone in his world. Lyle was a member of The Square Dance Club and in time became a dance caller. 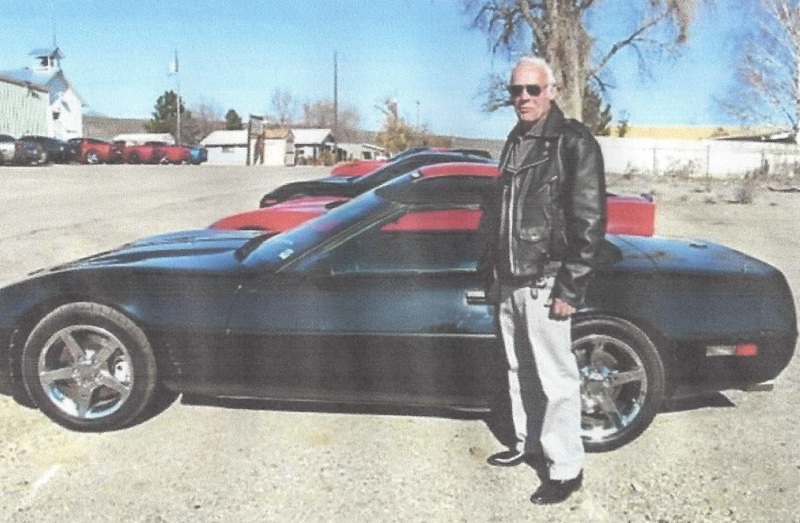 Lyle loved cars and was a member of the Corvette Club. He was an active and dedicated member of the Nampa Eagles Aeries #2103. Lyle stepped up and took on leadership roles. He was very proud of his many accomplishments. There will be a celebration luncheon at the Nampa Eagles, 118 11th Ave North at 1 pm on Thursday, January 17. All are welcome to attend and celebrate Lyle's life. In lieu of flowers, please send donations to Nampa Eagles Aerie #2103, 118 11th Ave North, Nampa, ID 83687. The family would like to thank caregivers at St Al’s Nampa for their humor, grace and warmth.